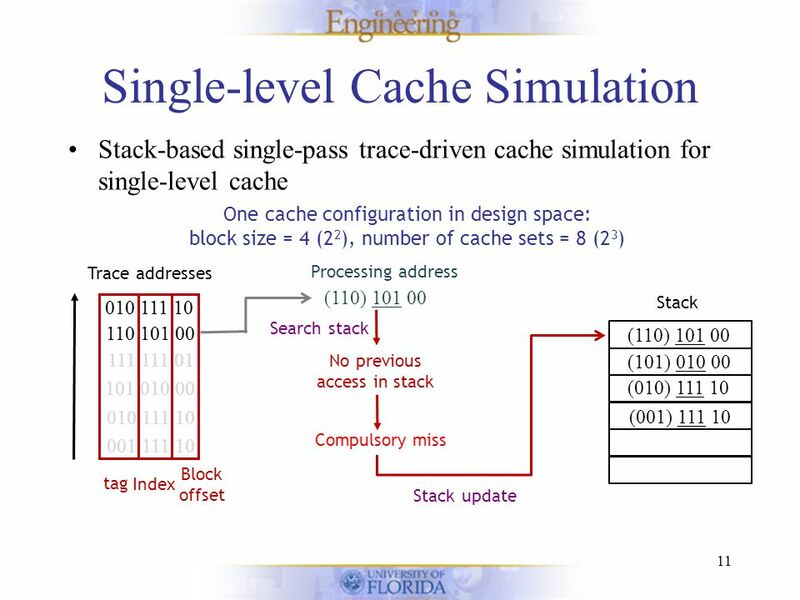 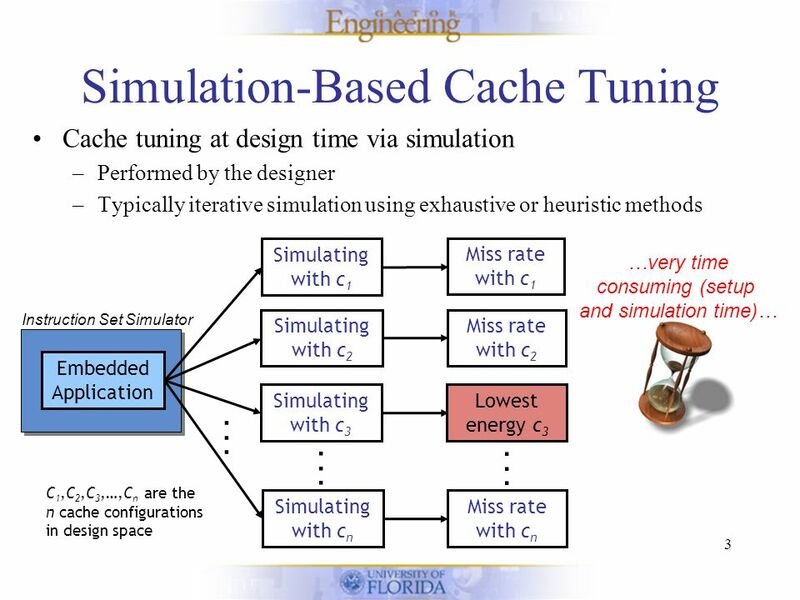 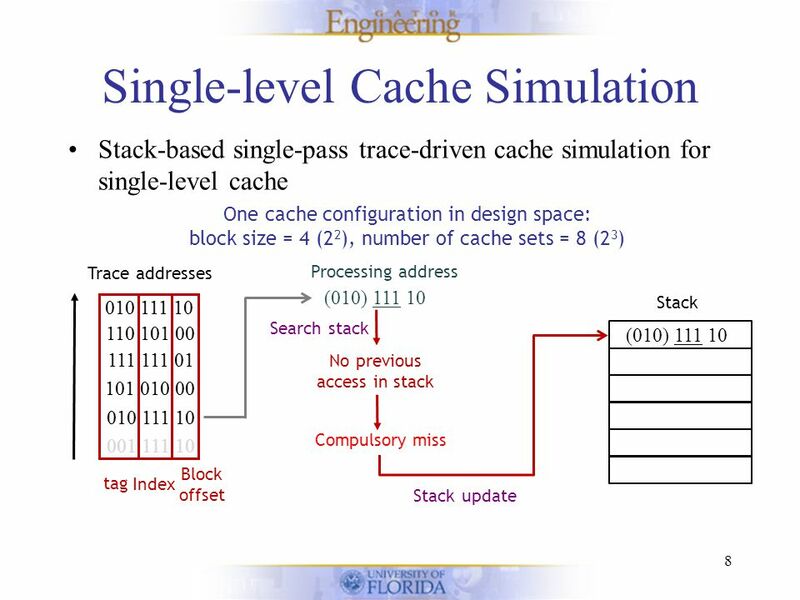 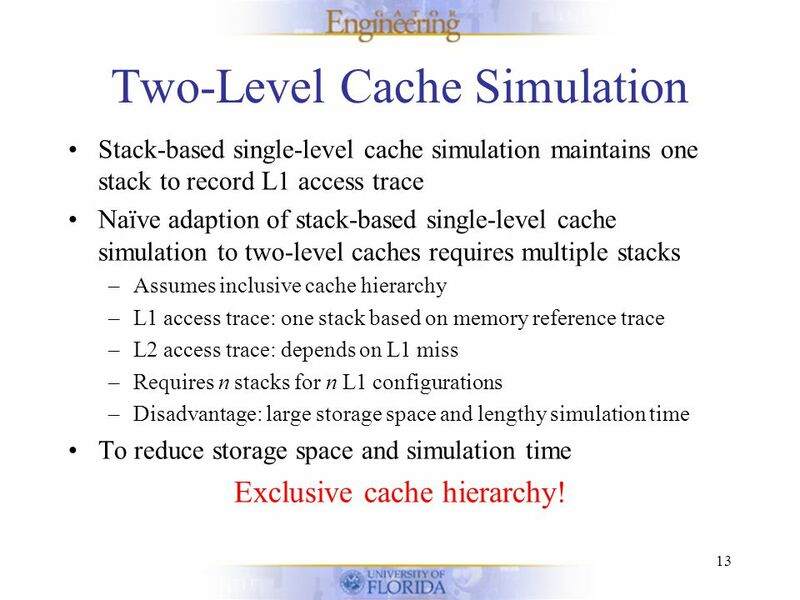 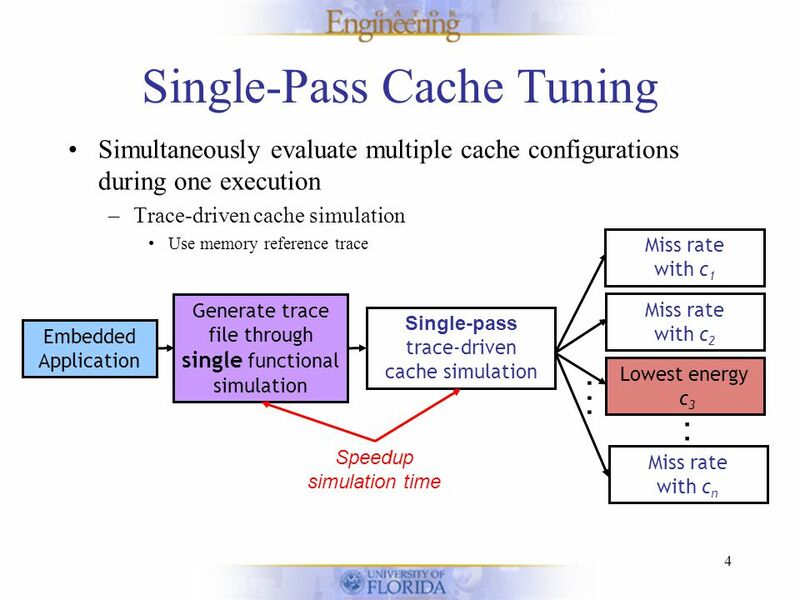 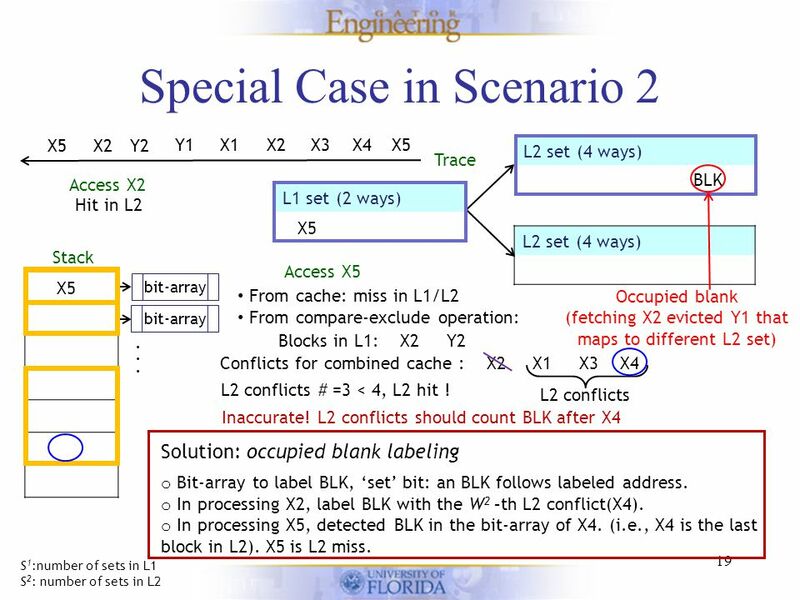 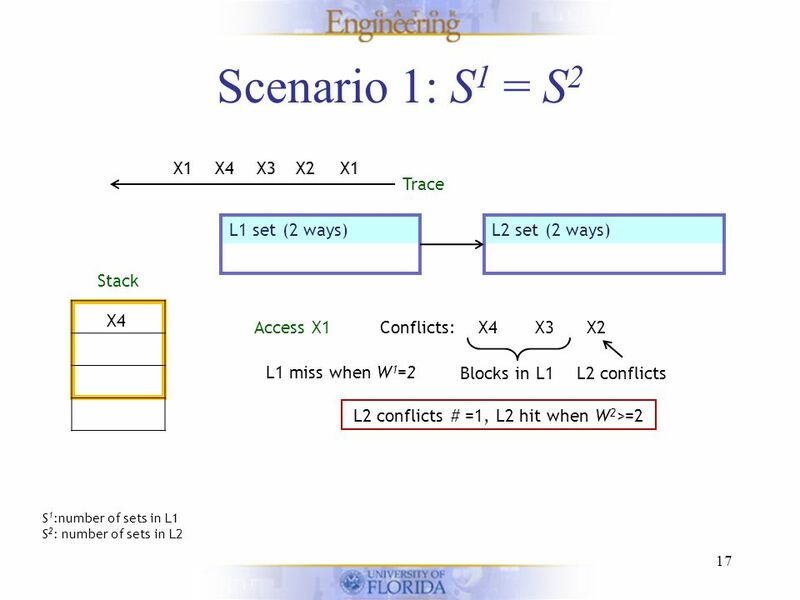 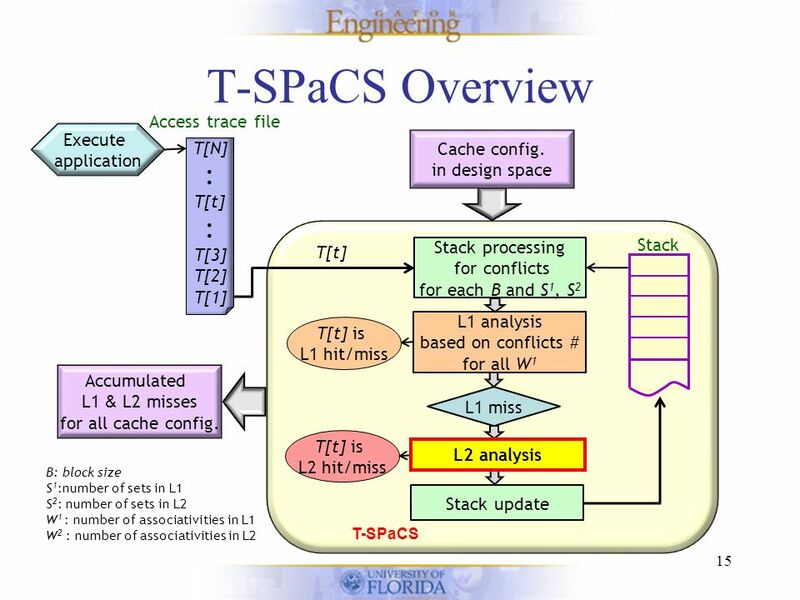 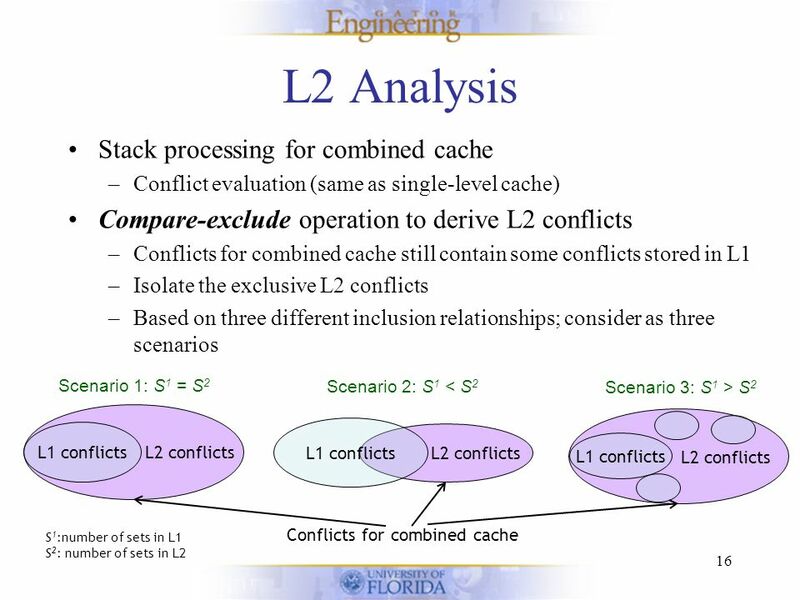 T-SPaCS – A Two-Level Single-Pass Cache Simulation Methodology + Also Affiliated with NSF Center for High- Performance Reconfigurable Computing Wei Zang. 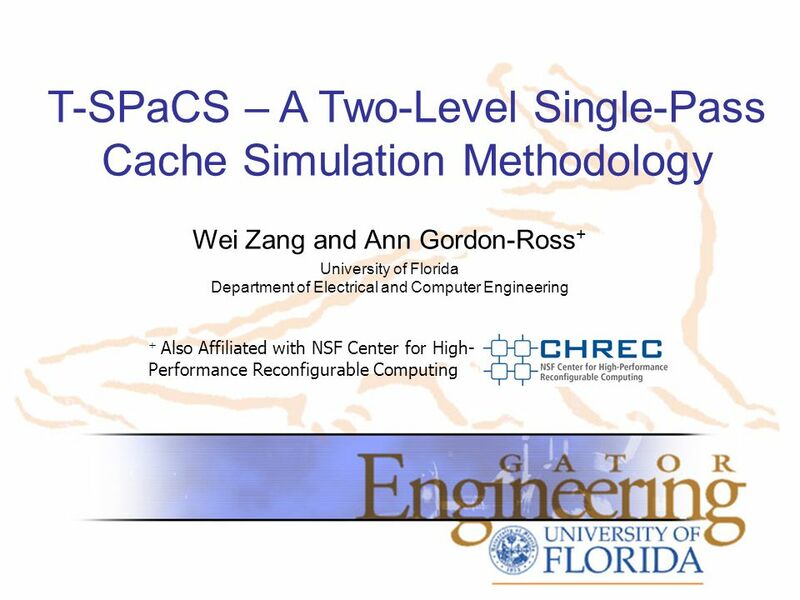 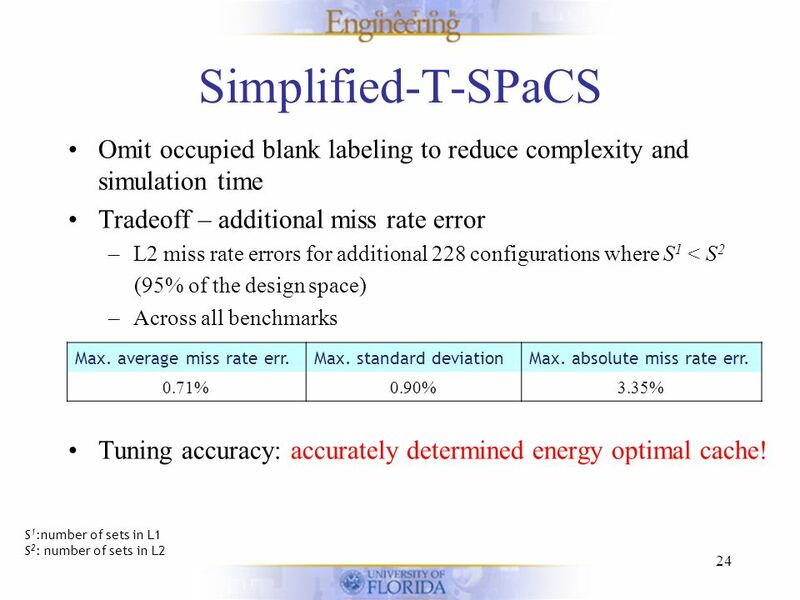 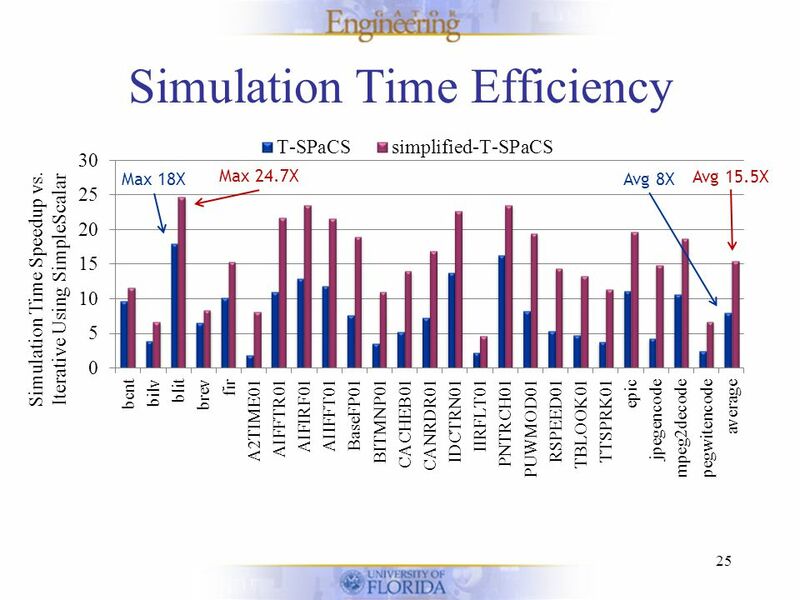 Download ppt "T-SPaCS – A Two-Level Single-Pass Cache Simulation Methodology + Also Affiliated with NSF Center for High- Performance Reconfigurable Computing Wei Zang." 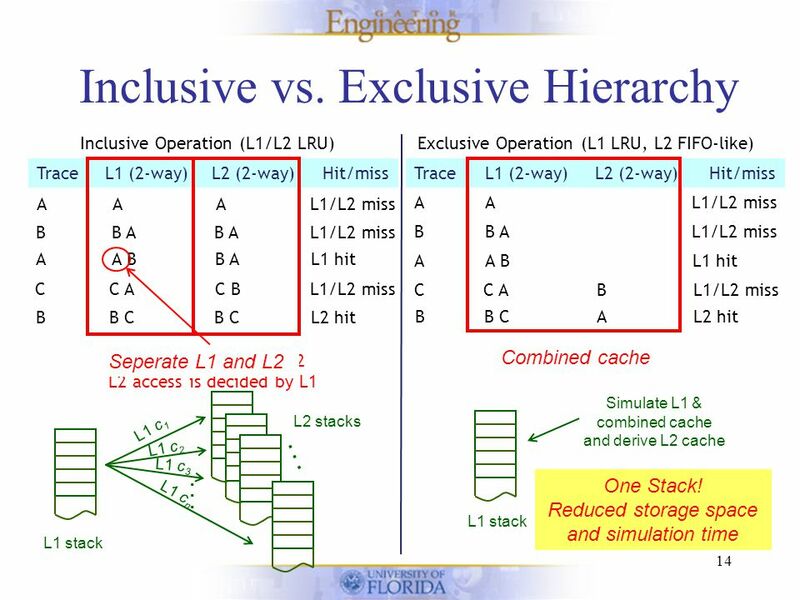 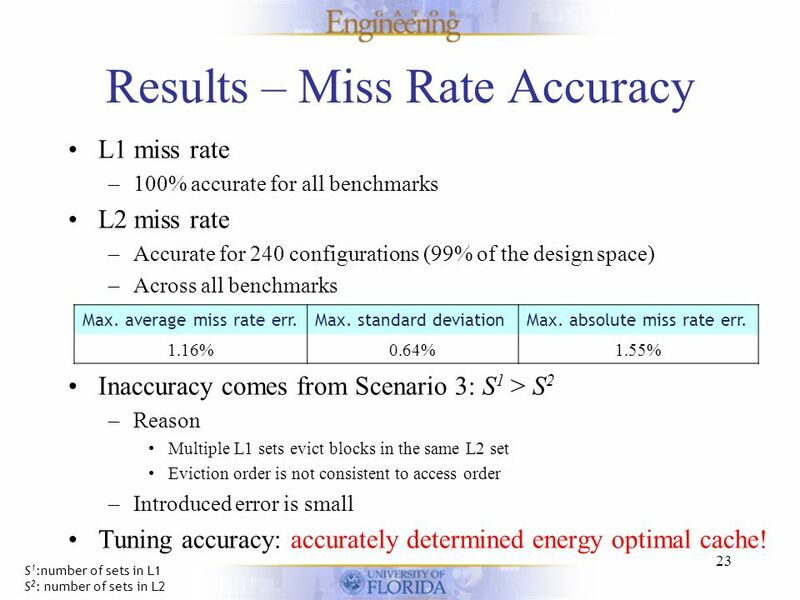 1 Utility-Based Partitioning of Shared Caches Moinuddin K. Qureshi Yale N. Patt International Symposium on Microarchitecture (MICRO) 2006. 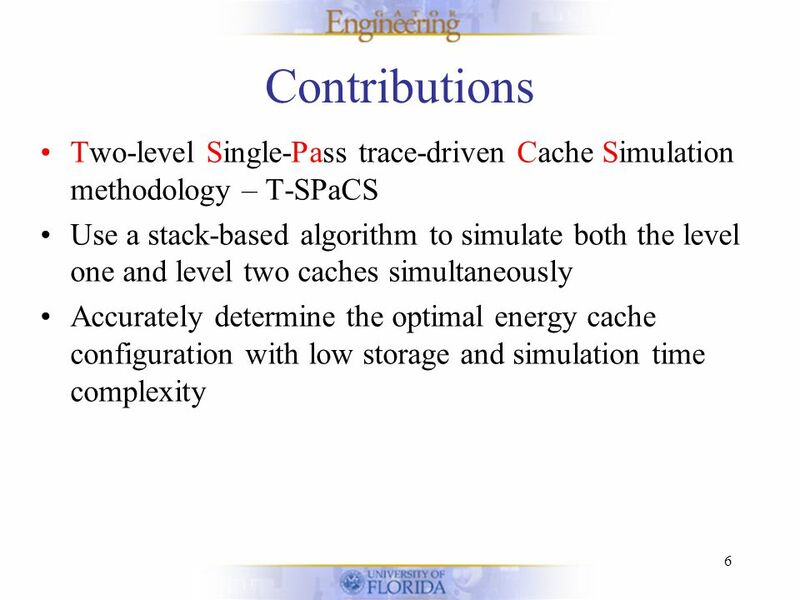 Dynamic Power Redistribution in Failure-Prone CMPs Paula Petrica, Jonathan A. 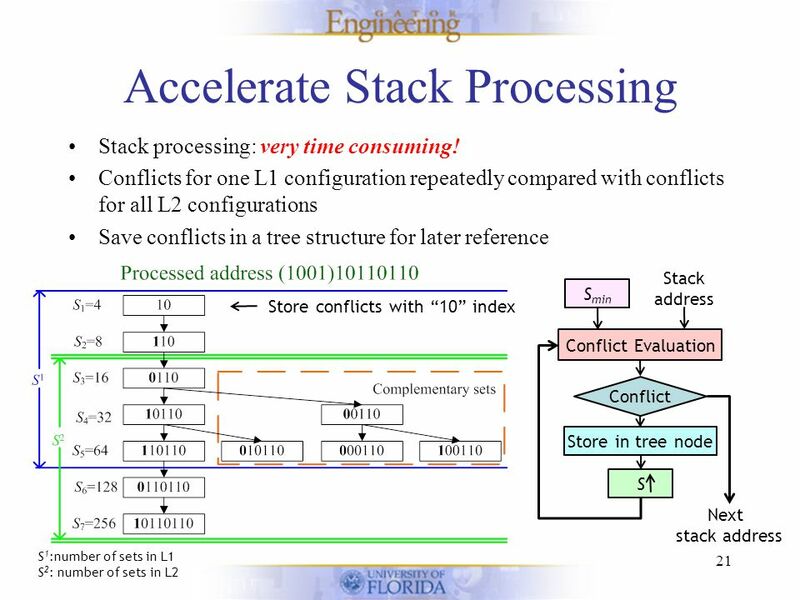 Winter * and David H. Albonesi Cornell University *Google, Inc. 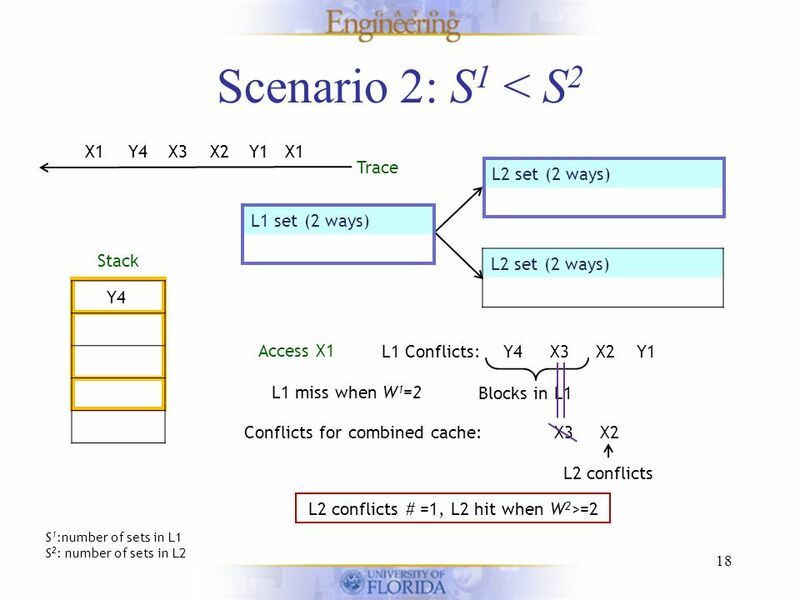 Effective Change Detection Using Sampling Junghoo John Cho Alexandros Ntoulas UCLA. 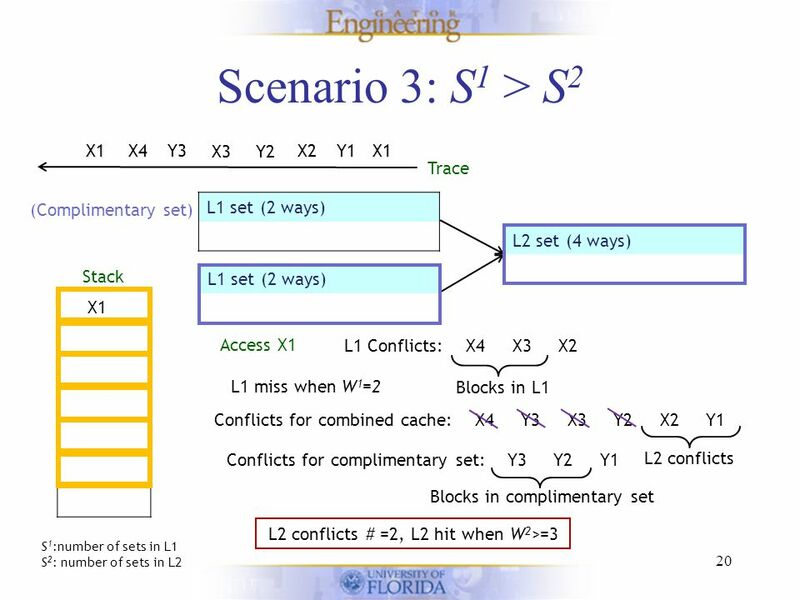 Approximate Spatial Query Processing Using Raster Signatures Leonardo Guerreiro Azevedo, Rodrigo Salvador Monteiro, Geraldo Zimbrão & Jano Moreira de Souza. 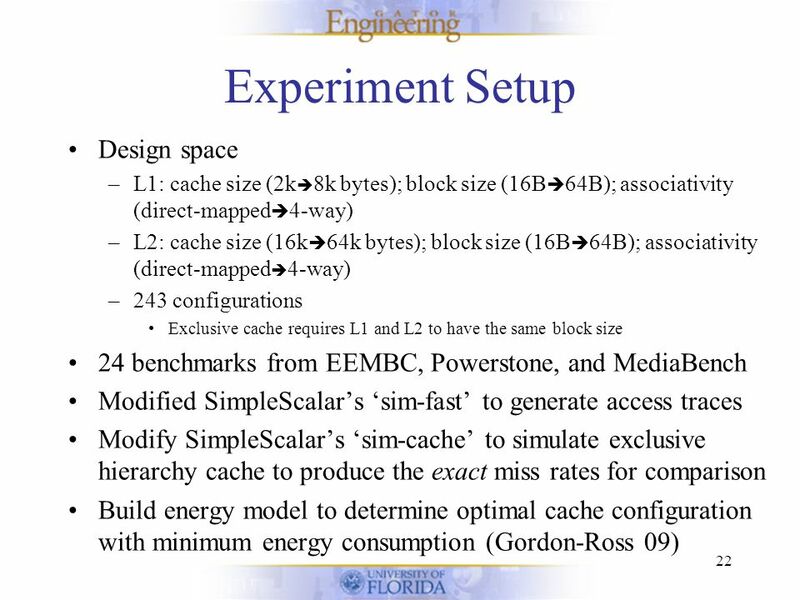 Warm-Up Methodology for HW/SW Co-Designed Processors A. Brankovic, K. Stavrou, E. Gibert, A. Gonzalez. 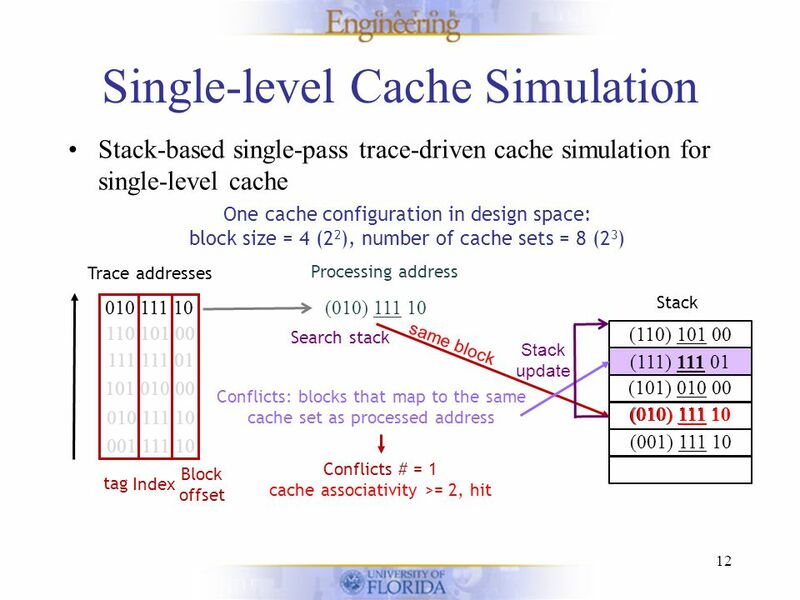 Databasteknik Databaser och bioinformatik Data structures and Indexing (II) Fang Wei-Kleiner. 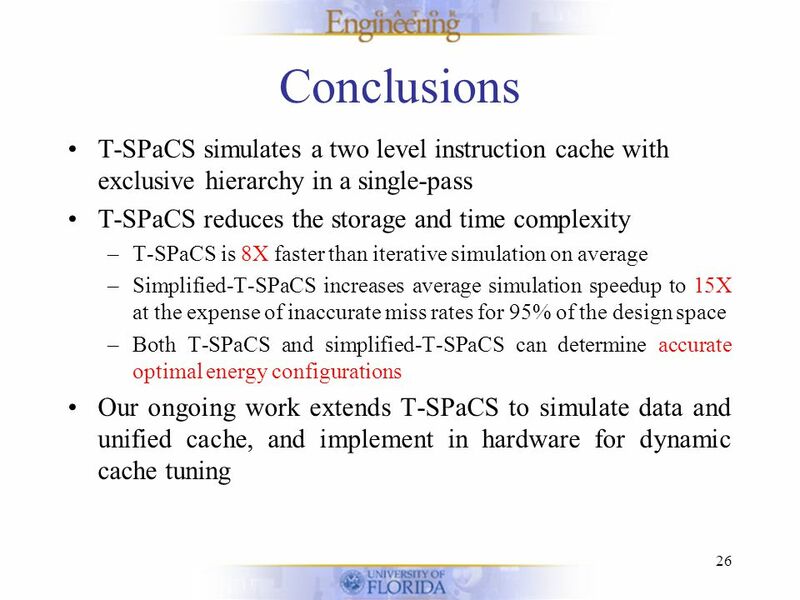 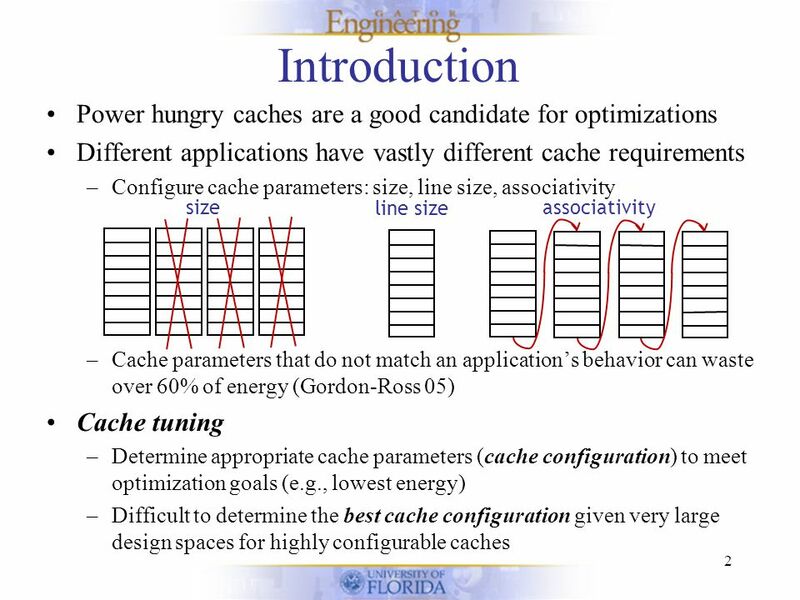 1 Fast Configurable-Cache Tuning with a Unified Second-Level Cache Ann Gordon-Ross and Frank Vahid* Department of Computer Science and Engineering University. 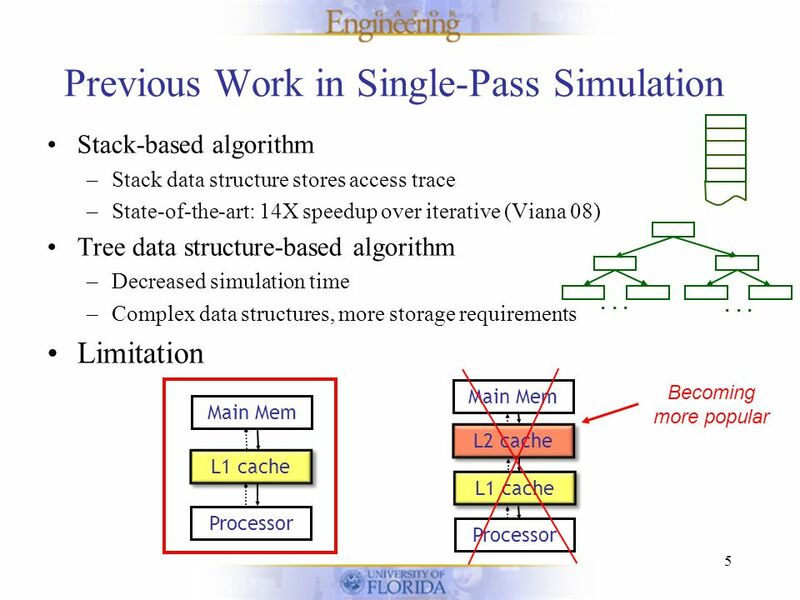 Ideal Parent Structure Learning School of Engineering & Computer Science The Hebrew University, Jerusalem, Israel Gal Elidan with Iftach Nachman and Nir.